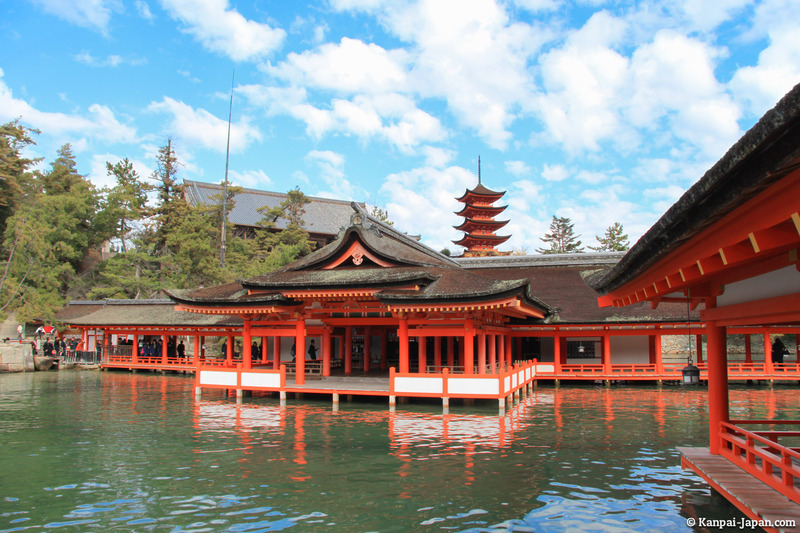 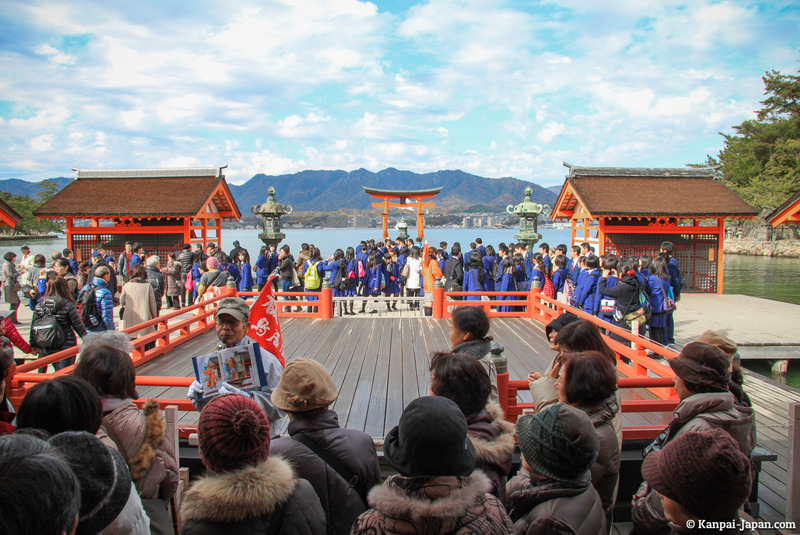 Although I already wrote several times about Miyajima on Kanpai-Japan, I wanted to post an article dedicated to its most obvious visit: Itsukushima shrine. 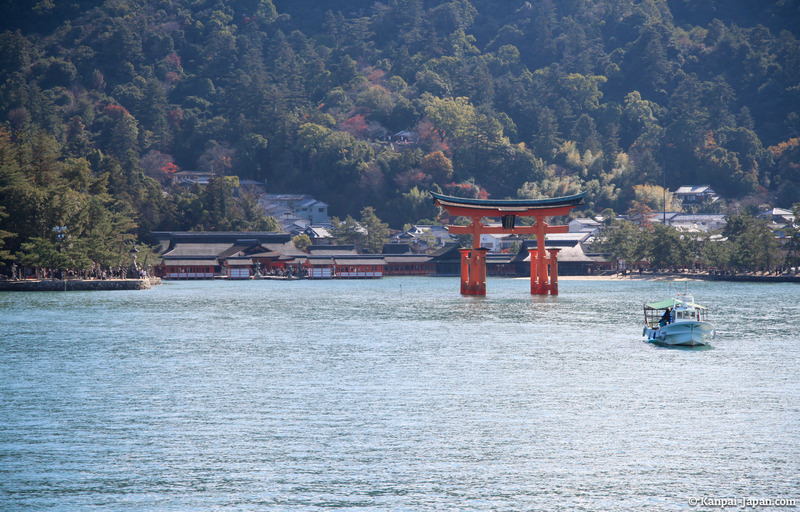 Miyajima is one of the favorite travel destinations in Japan, often combined with Hiroshima, and going through its famous shrine is almost inevitable. 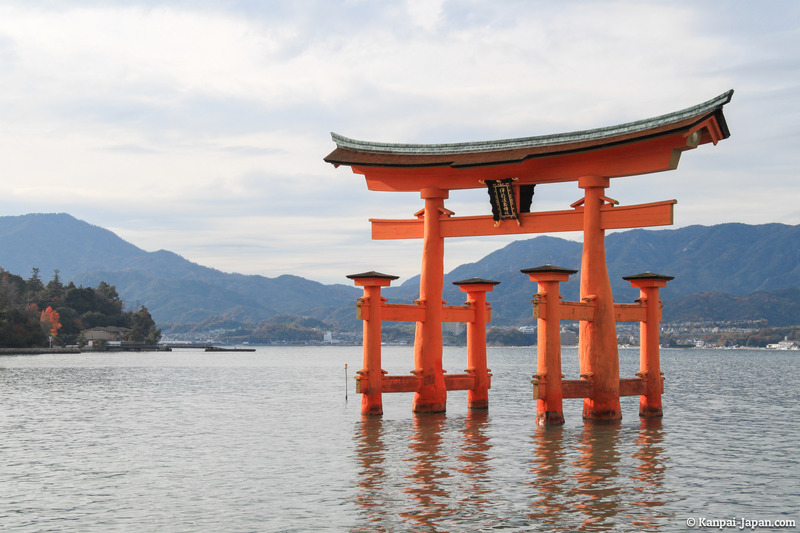 I must say that the area it covers, including the famous red torii gate, is not only one of the three most beautiful views of Japan (known as Nihon Sankei - the other two being Amanohashite and Matsushima), but also has the famous UNESCO World Heritage title. 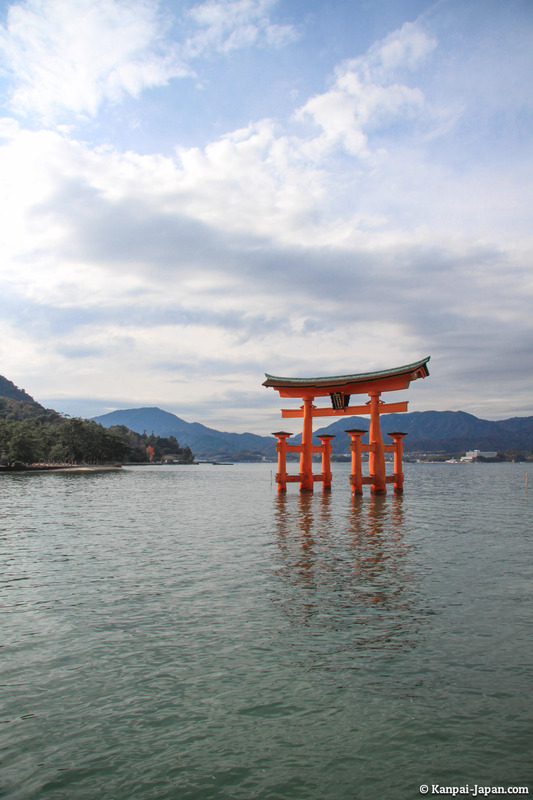 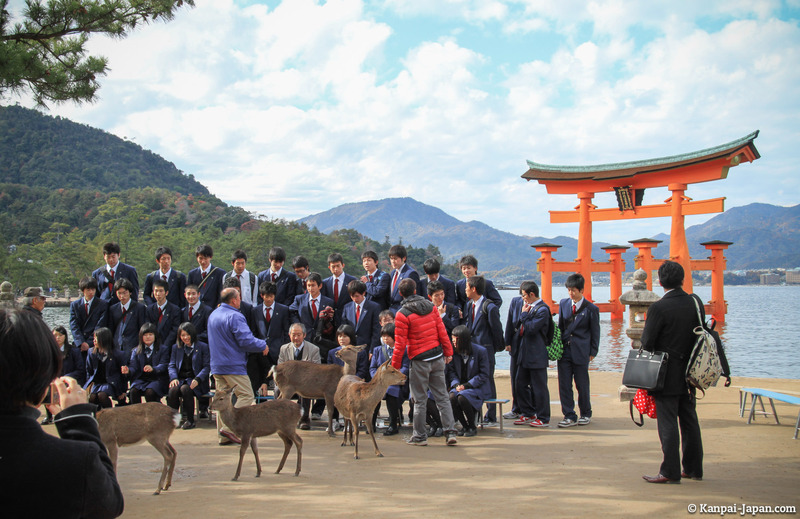 In my opinion, two factors are crucial when preparing your trip to Miyajima, to ensure maximum benefit from your visit in general and Itsukushima shrine in particular: weather and tides. 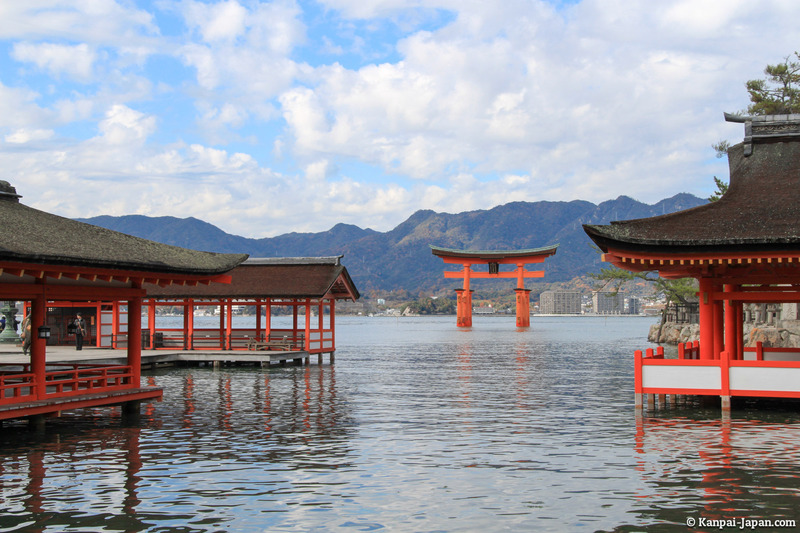 The ideal combo is of course to visit Miyajima under good weather conditions and at high tide, in order to enjoy the best views. 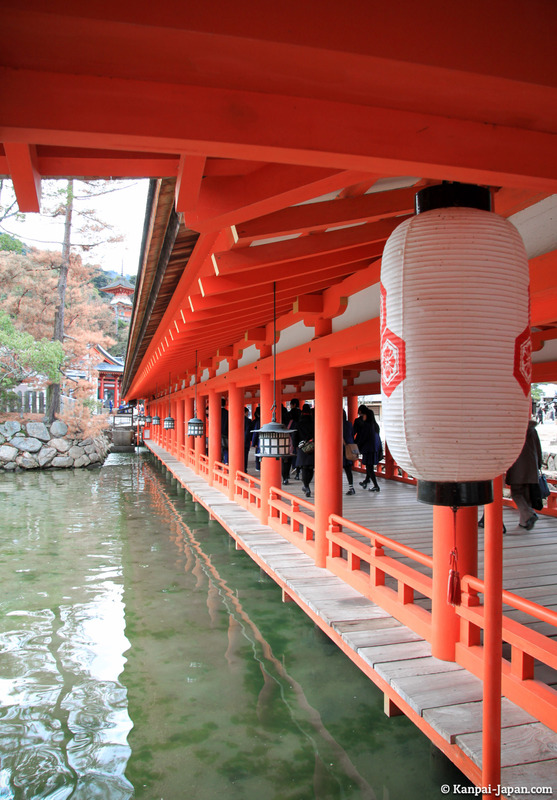 If you are staying in Kyoto or Osaka, for example, get a Japan Rail Pass so you can easily shift your visit a day or two depending on the weather. 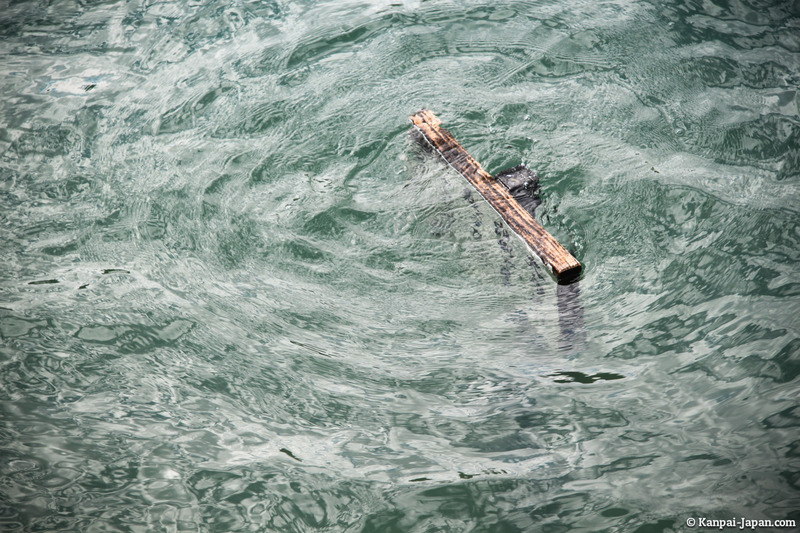 As for tides, I suggest you use this great tool that gives very precise times and tidal forces for the next twelve years! 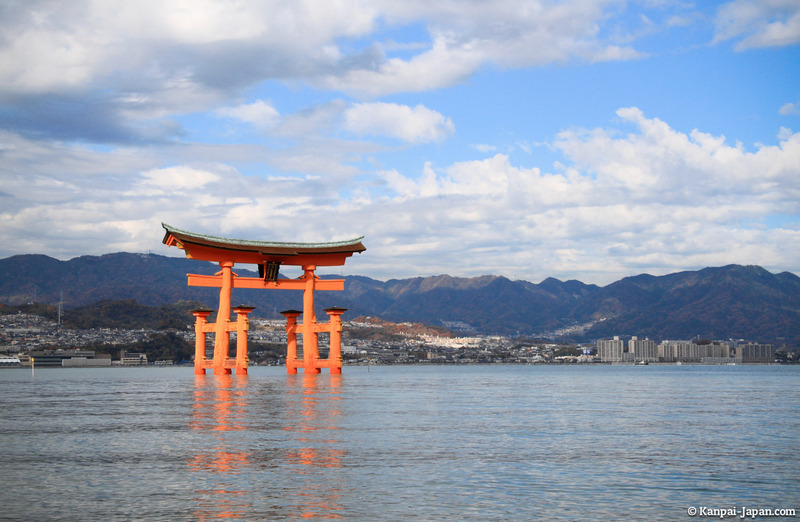 With this, you'll be able to adjust your schedule to be sure of arriving at high tide and enjoy the floating torii on Seto Inland sea. 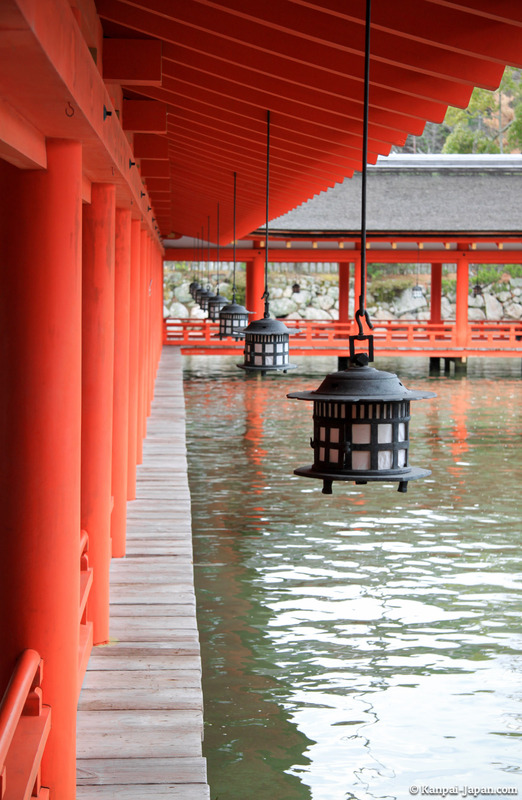 Alternatively, you can also plan your visit at low tide to walk at its base. 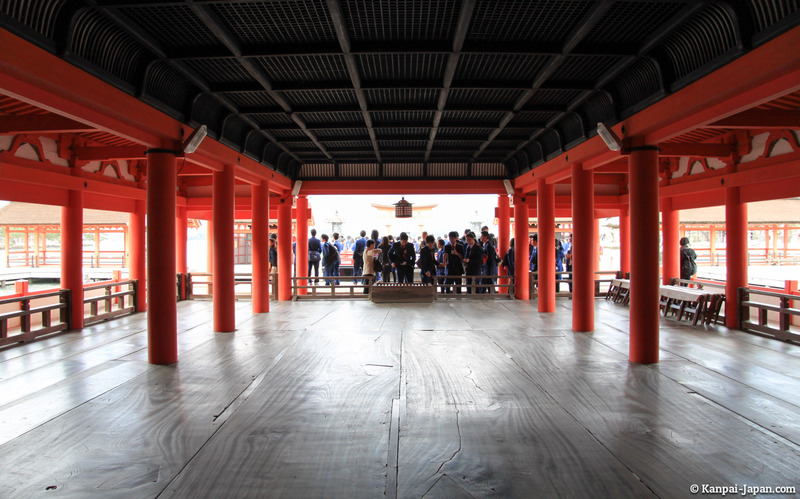 Despite the great number of people who come to Itsukushima every day, the aisles of the Shinto shrine are large enough so everyone can enjoy their visit. 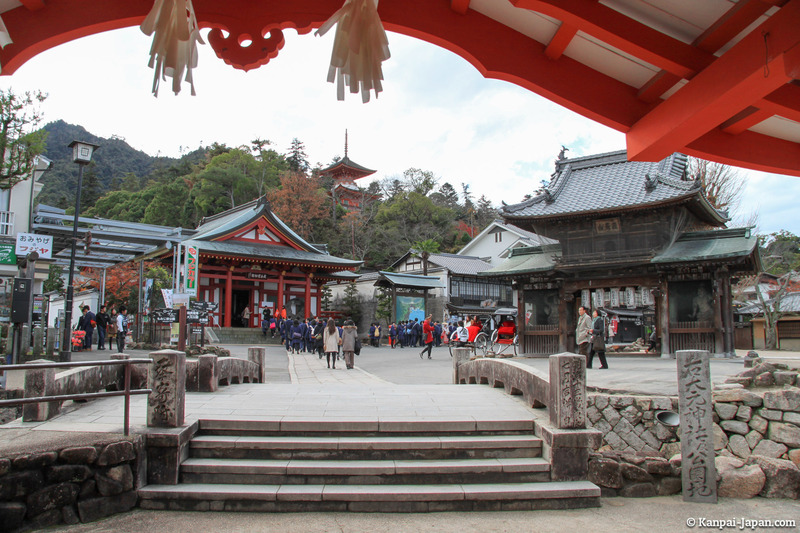 Getting out from the south exit, several choices are available to you: either continuing the trip by Daisho-in temple or Momijidani Park to climb Mount Misen, or go back to the shopping arcades around Itsukushima to taste the specialty of Miyajima: hot oysters! 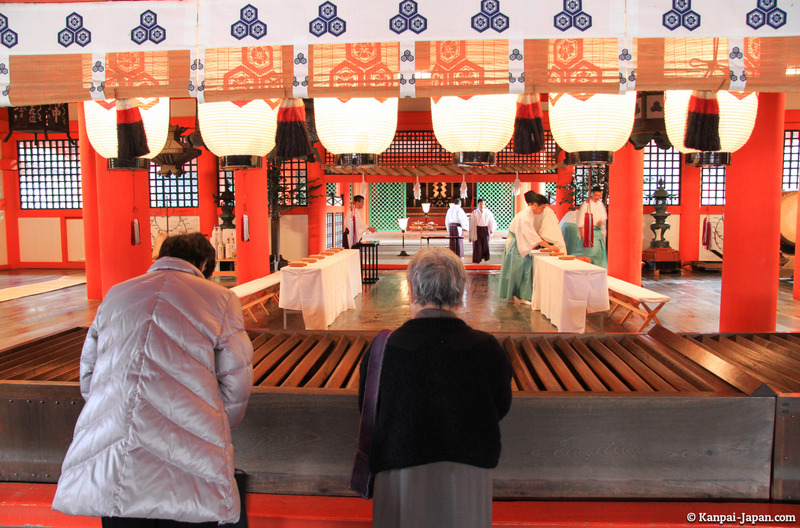 Open daily from 6:30 a.m. to 6 p.m.